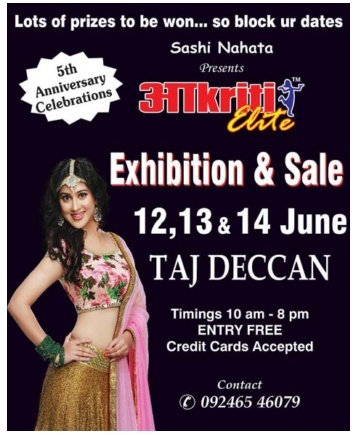 Akriti fashion exhibition & sale 12 14 & 14 June 2017. @ Taj Deccan - Hyderabad. Timings 10am to 8pm. Entry free.